If the damage to a car windshield is too great to repair, then we will fit a completely new replacement shield. Having been in business since 1993 in Kenmore, Washington, we have many years of experience, we guarantee satisfaction, and our pricing structure is highly competitive and affordable. Cracks and chips in car mirrors are extremely dangerous as they can impede a driver’s vision of vehicles travelling behind. If your side windows have been damaged in any way then bring your automobile to us at First N' Glass and we will get then fixed. We make victims of theft a priority. First N' Glass is an auto glass service in Kenmore, WA. Locally owned and operated we offer superior auto glass repair at an affordable price. With in-shop and mobile auto glass options we are the most convenient choice for repairing or replacing your windshield, door glass or mirrors. Broken windshield? 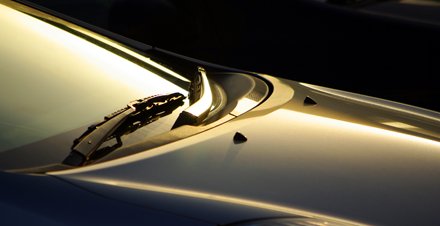 Our auto glass specialists offer exceptional rock chip repair and crack sealing. We know how irritating it can be to drive with a damaged windshield and how uneasy it feels. With times as economically troublesome as they are you cannot afford to receive a ticket for something as minor as a chipped or cracked windshield. Our auto glass prices are among the best in the industry paired with professional service and prompt attention we will get you back on the road as conveniently as possible. To help you save, we will assess the damage of your windshield and see if a windshield repair or windshield replacement is appropriate for you. Carrying a HUGE variety of replacement auto glass and windshields we are confident in our ability to serve you. When it comes to auto glass installation we take every precaution to ensure you receive a flawless application. With the most trusted adhesives in the industry you can also trust that you will not experience and air leaks or displacement. We care for personal vehicles as well as fleet / commercial auto glass. Call for details. We strive to provide a service that we can be proud of and that you will want to come back to. We will do everything we can for you. Whether you come into our auto glass shop or schedule mobile service our team will treat you with respect. ©2018 First N' Glass. All rights reserved.